Finding time for calm in the middle of our day is difficult. Even looking up can be a challenge, especially in our technology driven environment. 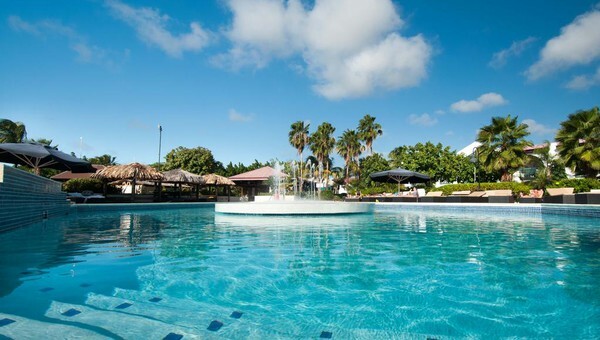 I arrived at Plaza Resort Bonaire at 3:30 pm and I planned on working until at least midnight. I had tons to do before my week of new, unique adventures in Bonaire. Realizing that the internet didn’t work in my room was like a slap in the face. How the heck was I going to get everything done? 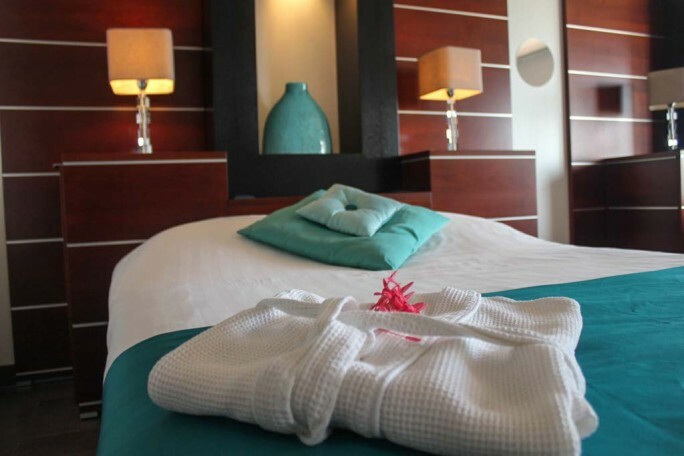 Then, once I got over the initial withdrawals, I decided to replace that sense of “rush” with a meditative calmness, and I’ve been swept away by Plaza Resort Bonaire. I realized that doing nothing can be the most productive thing to do with your time. I put down my phone, my camera, and my computer and I walked over to the bar. Without the distraction of technology, I was bored. I wasn’t going to just sit there drinking alone so I started talking to the people around me. Within minutes, I was chatting with a diving couple from Texas, a guy working in Bonaire from Chicago, and another couple on their honeymoon. We drank and shared our lives, face-to-face, for more than four hours. It was like hanging out with old friends. I was already starting to feel revived; refreshed from the gentle breeze and the sound of chatter around the bar. By midnight, I said good-bye and returned to my room. Normally, at this time, I’d write a post, share photos on Facebook, and send tweets for another few hours before calling it a night. I’d crawl into bed at 3 or 4 am, wide awake from typing on the bright screen, and struggle for almost an hour before falling asleep. 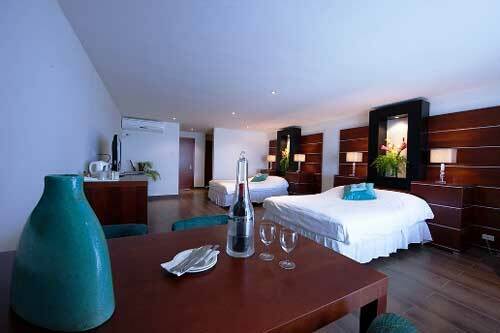 Not at Plaza Resort Bonaire! I came back to the room and climbed into bed. There was no use checking my phone or trying to respond to comments; it wasn’t going to work. I didn’t have service. I feel asleep within ten minutes, listening to the sound of the waves and the wind, and I woke up feeling more rested than I’d felt in over a year. I strolled along the beach taking photos without sunbathers or snorkelers in the way and I took a dip in the pool, floating on my back with my ears in the water listening to the white noise. Then, I walked over to the lobby and worked on the computer for two and a half hours. I accomplished more in those 2.5 hours at Plaza Resort Bonaire than I would have accomplished all of the day before. Sometimes we need to step away from work and technology and enjoy face-to-face experiences. I’d almost like to thank Plaza Resort Bonaire for having crappy Internet. It allowed me to see that they offer so much more. Bellafonte Bonaire – A Million Dollar View! How Adventurous Would Your Bonaire Vacation Be? Hi Elaine, If you’re interested in visiting our beautifull resort, let me know. 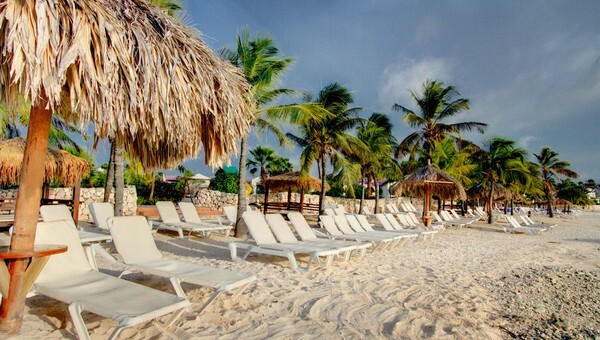 Bonaire is worth visiting and hopefully you will choose Plaza Beach Resort!